Young Belarusian photographer faces criminal charges over the teddy bear stunt. Belarus arrests and charges anti-nuclear activists while Dmitry Medvedev was visiting Minsk to finalise $10 billion nuclear power plant deal. The 2012 Eurovision song contest winner Loreen meets human rights defenders in Belarus. Photographer facing criminal charges over teddy bear stunt. Belarus KGB has extended detention of Anton Surapin, who is formally suspected of helping foreigners illegally enter Belarus. The 20-year-old student at Belarusian State University's Journalism Institute, was detained on July 13 over pictures of “pro-free speech” teddy bears that were allegedly dropped on Belarus from a plane piloted by representatives of Swedish public relations firm Studio Total on July 4. On July 18, Studio Total co-founder Per Cromwell sent an open letter to Alyaksandr Lukashenka to reiterate that the Swedish PR agency had not had any contacts with Belarusian citizens before performing its flight to Belarus and express readiness to meet with investigators in the country. Loreen met human rights defenders in Belarus. On July 13, in Minsk, Loreen, the winner of Eurovision Song Contest 2012 from Sweden, met with human rights defenders in Belarus. The meeting was attended by Ales Bialiatski’ wife, Natalia Pinchuk, human rights defender Valiantsin Stefanovich, journalists Iryna Vidanava (34 Multimedia Magazine), Ales Zaleuski (Belsat), Marina Koktysh (Narodnaya Volya), etc. New criminal case opened against Dashkevich. Imprisoned opposition activist Zmitser Dashkevich has been charged with persistently disobeying the prison administration`s orders, an offense for which he may have his prison sentence extended by one year. Minsk court convicts anti-nuclear campaigners. On July 18, Minsk Tsentralny District Court sentenced Irina Sukhiy, the NGO "Ecodom", to a fine of BYR 1,500,000 (about $180) on charges of disorderly conduct. 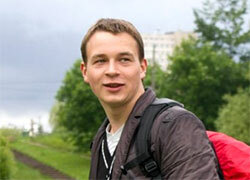 Mikhail Matskevich, the Centre of Legal Transformation, was arrested for three days on the same charges. Minsk Maskowski District Court sentenced an environmentalist Tatsyana Novikava and Andrei Ozharovsky, a Russian citizen, to 5 days and 10 days in jail respectively. The activists planned to deliver an open petition against the construction of a nuclear power plant in Belarus to the Russian embassy on the occasion of Russian Prime Minister Dmitry Medvedev's visit to Minsk.On July 19, Greenpeace called on the Belarusian government to do everything in its possibilities to come to an immediate release and a reversal of charges given to all four citizens. Legal Transformation Center appealed to Special Rapporteur. On July 20, Legal Transformation Center has appealed to Special Rapporteur on the situation of human rights defenders with an Allegation Letter. The Letter informs about the persecution of Belarusian human rights activists Tatiana Novikova, Andrey Ozharovsky, Michael Mackievich, Irina Sukhiy, Kasya Halitskaya, Varvara Krasutskaya, and Andrei Bondarenko and calls for action to end the practice of prosecutions for human rights activities in Belarus. Weekly report on election monitoring: The Human Rights Defenders for Free Elections campaign released two weekly election monitoring reports. During the reported period the experts note that “currently the society does not notice the beginning of the election process” and observe intensification of targeted repression against the opposition structures and the civic society. One of the general conclusions is that "election legislation fails to ensure the transparency of the process of forming the district election commissions… Civil society structures are unable to influence the activity of these bodies." Belarusian civil society at OSCE meeting. Yuliya Slutskaya, director of Solidarity with Belarus Information Office, took part at an OSCE Human Dimension Meeting on July 12-13, in Vienna. Slutskaya was invited by the U.S. delegation when it became known that Viktor Kornienko, coordinator of the Free Elections campaign, was not allowed to leave the country. As a voice of Belarusian civil society Slutskaya delivered the main message that Belarusian society calls for vote-counting during elections to be transparent. EHU Class of 2012 graduation. Two hundred and twelve students — 189 undergraduate and 23 graduate students — were awarded diplomas by the European Humanities University (EHU) at a graduation ceremony held in historic Vilnius Town Hall. EHU Founding Rector Anatoli Mikhailov congratulated students and encouraged them to stay in touch with each another and their alma mater. Meeting in Grodno Euroclub. Grodno Euroclub, supported by the movement For Freedom met with Olga Stuzhinskaya, head of the Office for Democratic Belarus. Stuzhinskaya told about the mechanisms of cooperation of EU institutions and civil society in Belarus, as well as answered numerous questions. The meeting was attended by members of the movement For Freedom, UCP, the campaign "Tell the Truth, students, and journalists. AD.NAK! awarded winners. On July 5, the 3rd Festival of Belarusian-language advertising and communications AD.NAK! ended with a solemn ceremony of awarding the winners. In particular, among the winners are posters and T-shirts for Liapis Trubetskoy's song "Hray" (section "Belarusian-oriented advertising and communication project"), "Bulboks" (section "Social significant projects»), etc. The Festival was organized by the culture campaign Budzma and web portal marketing.by. Green map. New interactive Green map informs about 170 places in Minsk where it's possible to give for recycling paper, glass, plastic, metal, batteries, etc. Soon the map will cover all over Belarus. Map has been developed by the Center for Environmental Solutions (Minsk). The idea belongs to Greenpeace Russia. Study visit to Tallinn. On August 12-18, a study visit "Information and communication technologies for education sector of Belarus" will take place in Tallinn, Estonia. Representatives of Belarusian profit and non-profit education sector are invited to participation. The organizers of the visit are E-Governance Academy (Tallinn) and Pact, Inc.
On 4 July, Swedish amateur pilots penetrated Belarus' airspace according to an email received by Belarus Digest. Their small aircraft crossed the Lithuanian-Belarusian border and parachuted hundreds of teddy-bears with notes of support for the freedom of speech. 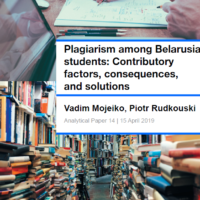 Covered by some Belarusian and Swedish media, but denied by the Belarusian authorities, the flight has generated more publicity than some of the pro-democracy initiatives by civil society groups and the EU in Belarus. “We planned the operation for one year, bought an airplane, learned how to fly, had people on the ground that [sic] was supposed to help out if the plane got shot down,” Hannah Frey wrote in an email to Belarus Digest on 5 July. Frey and co-pilot Thomas Mazetti were not afraid to risk their lives – unlike Belarusians, some of whom are afraid to talk to the media and will neither deny nor confirm the incident. According to Frey, the idea for the operation came from the "toy protest" in Minsk organised by opposition activist Paval Vinahradau in February 2012. Vinahradau was punished with 10 days in jail for placing stuffed animals to Minsk's Independence Square with placards like “Free the people” and "Toys against lawlessness." Studio Total, the company behind the campaign, was sending a gesture of support and encouragement for the Belarusian people. The daring flight over Belarus unleashed several debates. One is whether the event reported in Belarusian and Swedish press has even occurred. The Belarusian defence ministry denied the entry of the aircraft and decried photos and videos provided by Studio Total as “visual falsification”. If the teddy-bears were simply hurriedly picked up by the Belarusian police upon landing, then Minsk is risking a huge embarrassment. The idea of dropping stuffed animals is catchy and memorable and even the people who have not seen the evidence for themselves are likely to remember the incident – of course, if they understand the message that the Swedish pilots risked their lives to send. Another debate is over the efficiency of the Belarusian air defence and the inviolability of Belarus borders. Some laugh at Alyaksandr Lukashenka’s endless references of Belarus as Russia’s shield after the Swedes have already safely returned home, others point out that the early-warning radar on Belarusian territory is supposed to detect objects only at an altitude of 30 metres or higher. If so, the fact that the small plane entered Belarusian airspace does little to humiliate the Belarusian air defence. Learning from the incident, the Belarusian authorities may decide to invest in a new low-altitude radar technology and even create a continuous radar field along the Belarus border. They are also more likely to shoot without thinking next time they see foreigners crossing the airspace illegally. The most important question, however, is whether the Belarusian people have understood the message sent by the Swedes. After all, some were said to be tearing up the toys in the hope of finding money inside them. Moreover, few were able to understand the English-language notes attached to the teddy-bears. The fact that some Belarusians avoid speaking to journalists and neither deny nor admit the event stands in contrast to the courage of the Swedish team. Private Companies: a New Generation of Democracy Champions? Unlike most other pro-democracy campaigns, the teddy-bear campaign was initiated by a Western PR company. No government, no civil society, and no Western donors were involved. This may explain why even the Swedish media have initially doubted that the flight has occurred. After all, not only is Studio Total a PR company, but it is also known for organising a few hoaxes in the past. At the same time, only a private company like Studio Total could have a significant amount of money to spend exclusively on a flashy and dangerous publicity stunt while keeping its plans secret from both the Swedish and the Belarusian authorities. Dependent on donor approval and generally tight-pursed, non-governmental organisations are unable to organise expensive and dangerous excursions into restricted airspace exclusively for attracting media attention. The teddy-bears came from Sweden, a country that has taken interest in Belarus on multiple occasions. The country has consistently occupied top positions in democracy rankings and has been exceptionally critical of Belarusian authoritarianism. Swedish Foreign Minister Carl Bildt was among the most involved European politicians who was actively discussing Belarus at the highest levels. Swedish authorities have supported democracy in Belarus by offering exchange programmes and educational opportunities to Belarusian youth, journalists and policymakers, and empowering Belarus women. In return, Belarus has denied visas to Swedish politicians on multiple occasions. Earlier this year, a visa was refused to the head of the regional structure of the Social Democratic Workers' Party of Sweden, Lars Ove Yangson. When even the private citizens of Sweden have begun to champion democracy, the visa rules may become even more unpredictable. The residents of small Belarusian town Ivyanets who have witnessed the flight say all dropped teddy-bears were picked up by the police and taken away. Some recall the police throwing rocks into a tree to take down one of the teddy-bears stuck in its brunches. But most are afraid to talk, which could be why two days after the incident the mystery of the teddy-bears’ landing is yet to be resolved conclusively. Unnoticed by the Belarus air force, the Swedes safely returned home. It is no exaggeration to say that they had risked their lives during the operation: the Belarusian border guards would not have hesitated to shoot them down. In 1996, the Belarusian army shot down an unarmed air balloon, which drifted into Belarusian air space during an international balloon race. The Belarusian military killed two Americans, and as former US Ambassador to Belarus Kenneth Yalowitz pointed out in a recent interview to Belarus Digest, they did not even apologise for the innocent lives lost. If back then President Lukashenka defended the shooting by claiming that the balloon was spying on military installations, he would have even less remorse after taking down a pro-democracy operation. At the end of the day, it does not matter whether we all believe in the teddy-bear operation. The news about the flight has left a very real impression in the minds of the people. The story is making circles in the Belarusian blogosphere: people joke about the inviolability of the Belarusian airspace and ridicule the police hunting for something as innocent as a stuffed toy. Continuous denial of the incident will only put the Belarusian authorities in an increasingly difficult position. The brave flight should serve as an inspiration not only to Belarusians, but also to other Europeans. Europe should follow the Swedish example – of course, not by undertaking similarly dangerous stunts, but by taking action and addressing the Belarusian people directly instead of wasting time on the endless high-level talks about sanctions. Only then will the Belarusian people start feeling that their Western neighbours are not indifferent to their difficult lives in Belarus. Volha Charnysh is an analyst with the Ostrogorski Centre, the Executive Editor of Belarus Digest and a PhD Candidate in Government at Harvard University.